A long-awaited report on Aberdeen Football Club’s new £50million stadium dream was dramatically deferred last night – with sources indicating that planners are recommending refusal. The report, which is expected to include the recommendation to councillors on whether to approve or refuse the Kingsford application, was expected yesterday with the council informing journalists to expect publication. But late yesterday afternoon a further statement emerged that the papers were “still being finalised” and that the report would be “made available as an additional circulation when finalised”. However, highly-placed council sources indicated the planners had recommended refusal of the application. But the report may differ from expectation with council officers understood to be still working on the document last night. While the recommendation is important, and generally followed by members in most cases, it can be ignored by councillors who are bound to make their decision solely on planning issues like parking and traffic flow. In March, neighbouring Aberdeenshire council voted against proceeding with the plan – but the vote is simply advisory and club bosses vowed to push on. 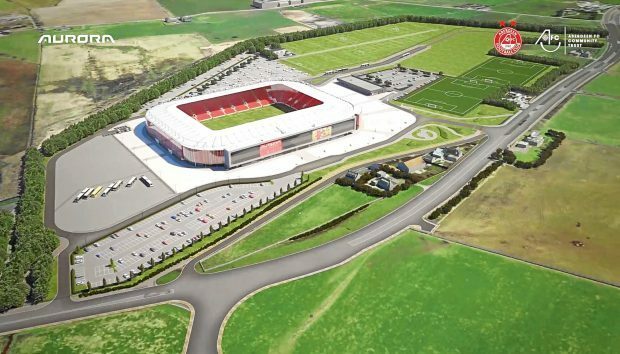 The stadium and training facilities scheme for the land between Westhill and Kingswells has been hailed by business bodies in the city, who argue it can be the catalyst for millions of pounds being invested in the local economy and will help fans travelling by the new Aberdeen bypass. The club, meanwhile, has argued that Pittodrie costs hundreds of thousands a year to maintain and future success and European football are dependent on the 20,000-seater facility being approved. But a large, organised objection movement has sprung up, pointing to issues like increased traffic, a perceived loss of green belt land and parking problems. Aberdeen Football Club, Aberdeen City Council and the No to Kingsford group all declined to comment ahead of the publication of the report. But the opposition SNP and Liberal Democrat groups hit out at the late publication. Liberal Democrat Ian Yuill added that the delay was “very unfortunate”. Council co-leader Douglas Lumsden said that the report was “vital” and “had to be right”. Councillors will make a decision on the application next Wednesday.